Effort Equals Results for Team Penske. In automotive racing, Team Penske is synonymous with winning. 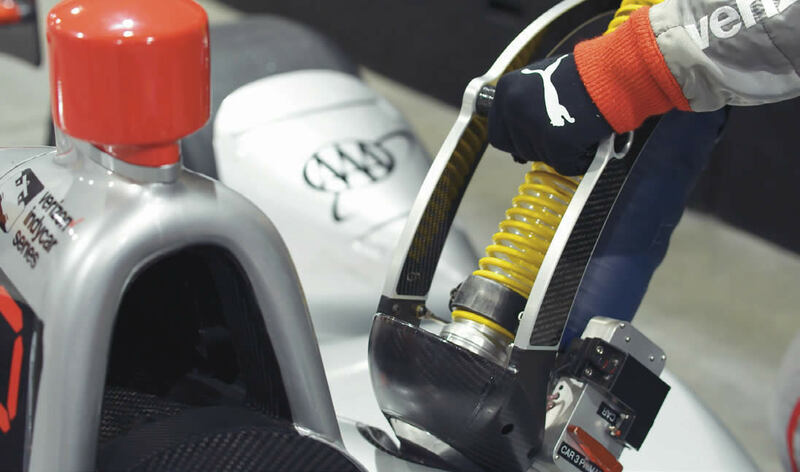 Their legacy has been forged by the leadership of founder Roger Penske and a team of individuals and partners dedicated to producing champions. Hundreds of race wins, pole positions and scores of national championships accentuate their commitment to excellence. But for Team Penske, achieving that kind of performance means constantly asking how things can be done better, and technology is a cornerstone of that cause. “Technology plays a big role in racing today.” Those are the words of Team Penske president, Tim Cindric. According to Cindric, technology isn’t invented at the racetrack but rather, it’s demonstrated there. 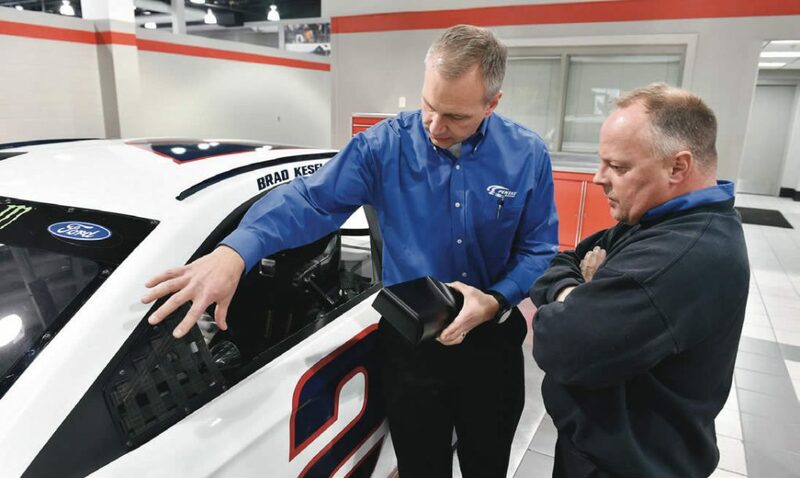 One technology that Team Penske has fully embraced is additive manufacturing. Using Stratasys 3D printing solutions, Team Penske turns ideas into racetrack reality much more quickly than previously possible. 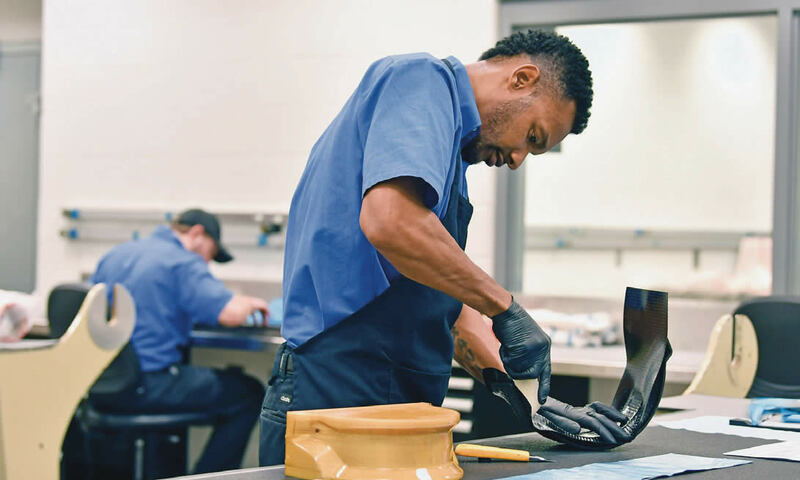 Highlighting its impact in race strategy preparation, Cindric added, “It gives us more ideas of what’s possible.” That’s understandable, since for Team Penske, additive manufacturing solutions cover a lot of ground. This carbon fiber part was made using the 3D printed lay-up tool. 3D printed composite tooling was critical to meeting the deadline for producing the new fueling probe handle. In addition to speed, both FDM® and PolyJet™ additive solutions provide the accuracy and reliability that’s needed. “When we’re producing components, we’re very confident in the design and the capability that these designs are providing, which enable us to get to the track a lot faster,” said Miller. Production manager Matt Gimbel discusses the installation of a 3D printed rearview mirror housing.